Laurence Hope Notes: Prayer - A Genuine Translation? I am weary with dreams of you. As I rise to another morning apart from you. I dream, and the dreams are lies. If you pitied the pain I bore. Are keener to sting my soul, than scorpion stings! One white rose in a Desert of weariness. Away for an unplucked flower. And trouble your life no more. There is not a more passionate, sincere and uneasy a prayer to a lover to be found anywhere in the English language, but it may not have originally been written by Hope in her mother tongue. Prayer displays a disjunct rhyme scheme and irregular stanzas which sets it apart. It is unlike enough to our poet's usual style that I believe it may convey a secret - Prayer may actually be a genuine translation - an original "love lyric of India." As early as 1902, The Critic outed Adela Nicolson as the female behind the male pen name of India's Love Lyrics. Her false identity revealed, the debate turned to the authenticity of the "collected and arranged" works, as the frontispiece read. The result is that today it is almost automatically assumed that the book is a collection of the poet's original work. Yet a few pieces are set apart by their unusual structure, raising the question of whether they may have a differing origin. 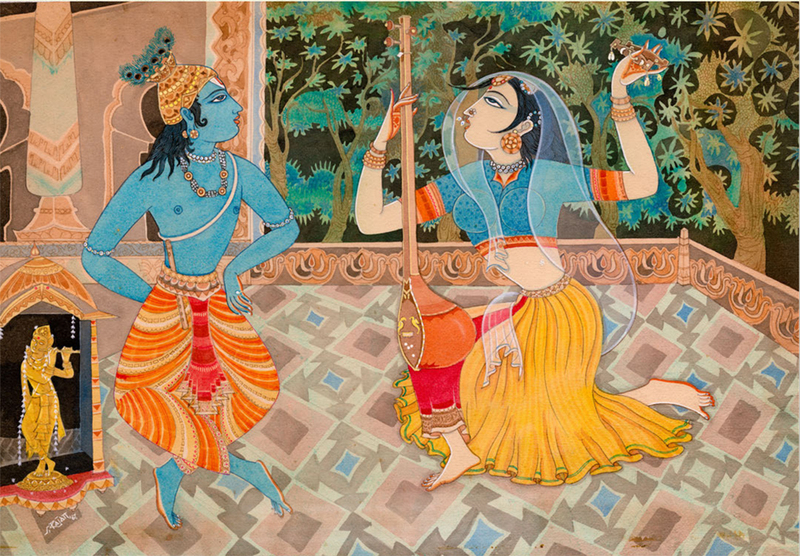 It is possible that these pieces may be actual translations of native poetical lyrics passionately sung aloud which first attracted the poet to Indian art forms. Such pieces likely were devotional prayers extemporaneously formed upon a traditional template. 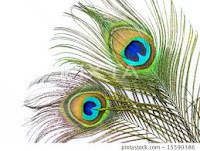 Malcolm and Violet would have encountered Indian poetry and musical lyrical artistry in many forms and places - evening calls for prayer, passing mendicants and street buskers, the singing and reciting of talented and pious native servants, military men and other acquaintances. They would have heard spiritual and folk music in their travels, and experienced music embedded in colorful religious festivals. Even some of the arranged suppers, concerts and parties of British Raj society featured traditional Hindi music, dancers and singers as entertainment. Prayer may have been literally translated on the spot as it was being presented and listened to. 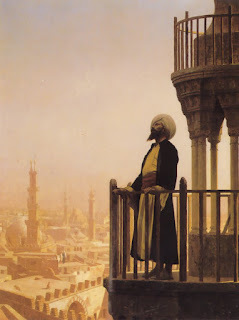 The performer may have supplied off-the-cuff translations to the curious memsahib poet who asked for the meanings of certain soaring, open voweled and besotted Arabic phrases. If the original was sung in Urdu, the poet may have understood and been moved to set the words down as she listened, or commit them to memory for reproduction later at her desk. If the song was in Pashto, perhaps Violet jotted down phrases as her husband Malcolm whispered them to her - as an expert linguist he would have shared her interest in Indian poetics. Of course it is always possible that Hope simply encountered devotional prayers in their language of origin in books Malcolm possessed, in a friend's personal library or for sale in a bazaar; but I think it far more likely that she first encountered them through the senses, hearing and feeling them, while observing the performer's remarkable controlled intensity. It was the artistically delivered raw emotion of such works which sparked the poet's quest to explore and capture such effects as best she could. As Professor Ed Marx commented, "The poems of Laurence Hope show feeling to be not only capable of great intensity, but also great power as a means of understanding the world." His scholarly essay on the poet and some of the early debates regarding her work's "authenticity" is a must read. Fired by a couple of her translated "source poems", I believe the poet was inspired to riff on the themes and ideas raised, preferring to abandon ongoing slavish word-for-word translations in favor of capturing the poignant emotional expressions of Indian works. 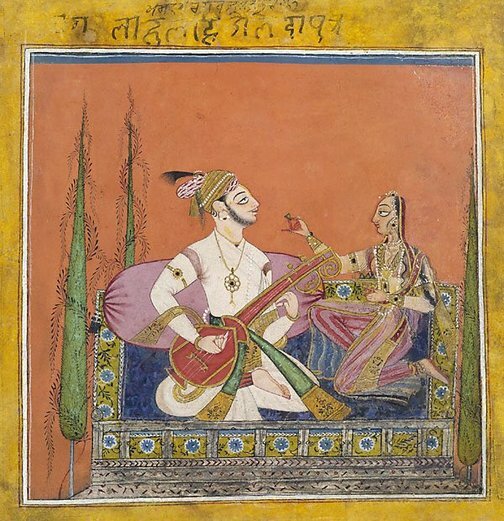 Once an idea blossomed, the priority was translating the experience of listening to India's vocalized arts in verse that could be absorbed by Western readers sitting at their drawing room fires, a world away from India's North West frontier. Thus, Prayer may be a direct translation which inspired other Aziz/a poems, like flower petals on a shared stem. It begins as four stanzas of roughly six lines, but the wild last 11 line stanza weaves around like a tiger's tail in a departure from standard form. Memory is another Aziz/a poem that breaks into extended long stanzas with cycling rhymes, bringing to mind the exotic vocalizations found in the long rolling syllables of calls to prayer and ghazals. There is always a chance that Prayer and Memory are examples of original works that are just less conventionally polished - unfinished or dashed off without correction. I find this to be very unlikely. A poet of Hope's talents could have easily and quickly worked more symmetry into the last stanza of Prayer by expanding it into two stanzas of 6 lines each to match those above, formalizing the cadence and changing out the poor rhyme as a final touch. The poet was involved in preparing her manuscript for publication and I believe she was quite deliberate about every piece she published. 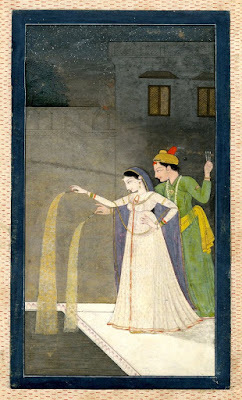 The translation of an actual Eastern prayer, such as the aptly named Prayer, into English verse may well have been the germ of the idea for "India's Love Lyrics" as a collection and title - the poet initially unaware of just how rewarding hunting this muse would be, inspiring her prolific output for many years on Indian themes. While both publisher and poet intended for every poem in the Love Lyrics to be accepted as a translation similar in fashion to the 1859 publication of Fitzgerald's Rubaiyat, over time the opposite idea that every poem is actually the author's own has prevailed. 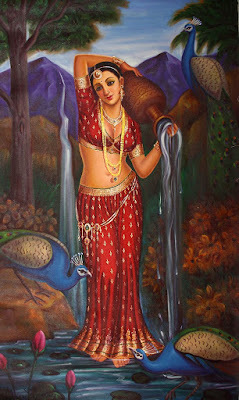 However, it appears that there may be varying degrees of direct connection to Indian sources, with a few seminal pieces possibly very close to direct translations, some poems that are the author's retelling of native or regimental stories and legends, and the majority of poems indeed the original artistic output of a Westerner caught up in a personal rapture fired by both Eastern and Western sources and aesthetics. The Arabic ghazal, a literary song form, was especially associated with "superior and unconditional love" - a theme strongly favored by Laurence Hope. Ghazals are quite rigorously structured but not necessarily in a way that is immediately apparent to a Western listener. They may sound freely roaming yet patterned as they cycle through their rhymes - sung passionately in a foreign tongue they can have a mesmerizing effect. 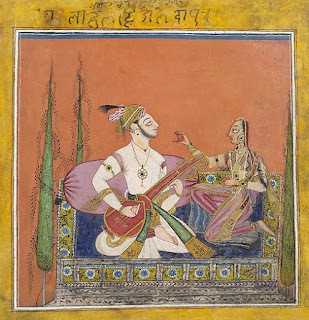 Approximating ghazals in English may indeed have occupied some of our poet's attention. This is territory in which I am interested but unschooled, and I certainly hope that someday a scholar of Arabic forms could analyze some of Hope's work through this lens. Ghazal - a type of amatory poem or ode, was famous all around the Indian subcontinent in the 18th and 19th centuries. A ghazal may be understood as a poetic expression of both the pain of loss or separation and the beauty of love in spite of that pain. The form is ancient, originating in Arabic poetry in Arabia long before the birth of Islam. It is derived from the Arabian panegyric qasida. The structural requirements of the ghazal are similar in stringency to those of the Petrarchan sonnet. In style and content, it is a genre that has proved capable of an extraordinary variety of expression around its central themes of love and separation. 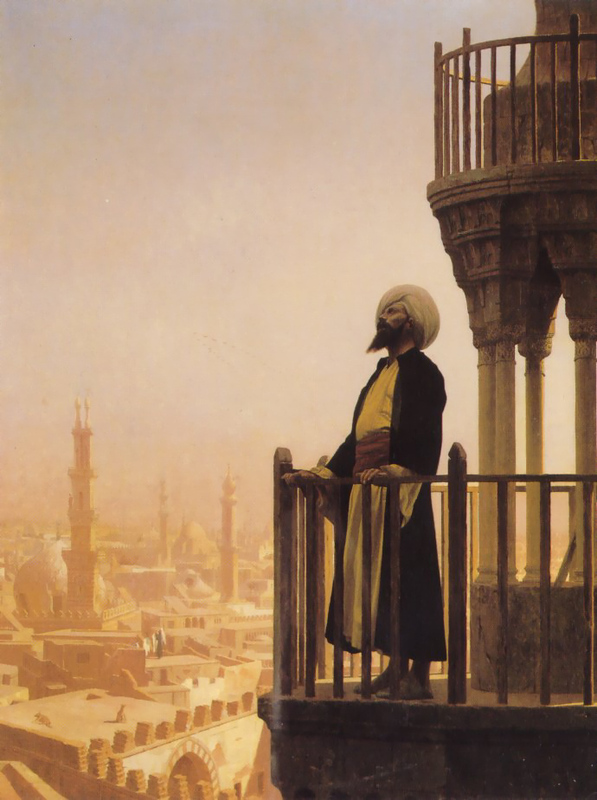 Arabic qasidas and Petrarchan sonnets - who believes East and West are "twain" and have never met? NOTE: "Prayer" is recorded in the fourth section of India's Love Lyrics and may be listened to here. This is a sneak preview, and will not be available on Librivox until the entire book has been recorded.